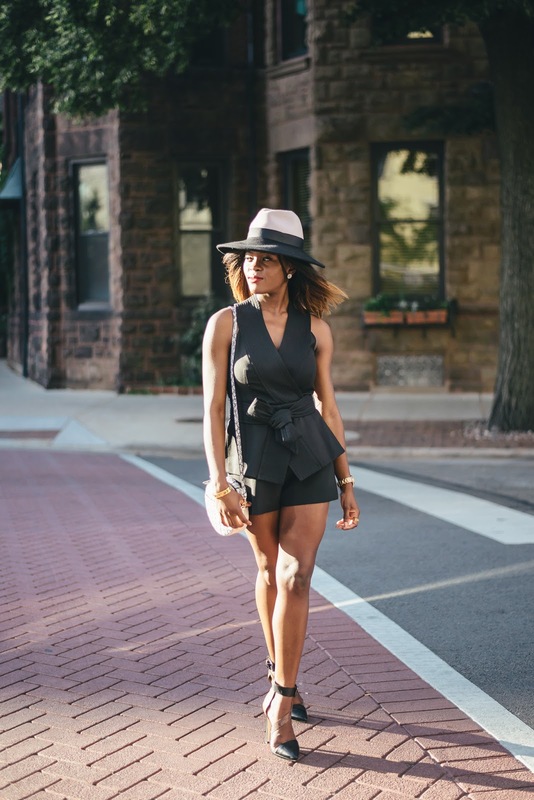 I had the distinct pleasure of trying one of fashion’s newest shopping hubs, IfChic, and now I am dishing out on all the details plus an amazing way to score your favorite designer items like this gorgeous romper for a fraction of the price or even for free. Hop on over to the website and collect Ifcoins coins, up to $6 per day which you can add up to $180 per month if go everyday! On the 24th of every month, you get the chance to spend all your “hard earned” coins on some designers pieces from Cameo to Philip Lim. Then sit back and wait for your new items to get to your doorstep within a few days, with free shipping within the US! Amazing, right! I am in love with this Cameo romper from ifchic. 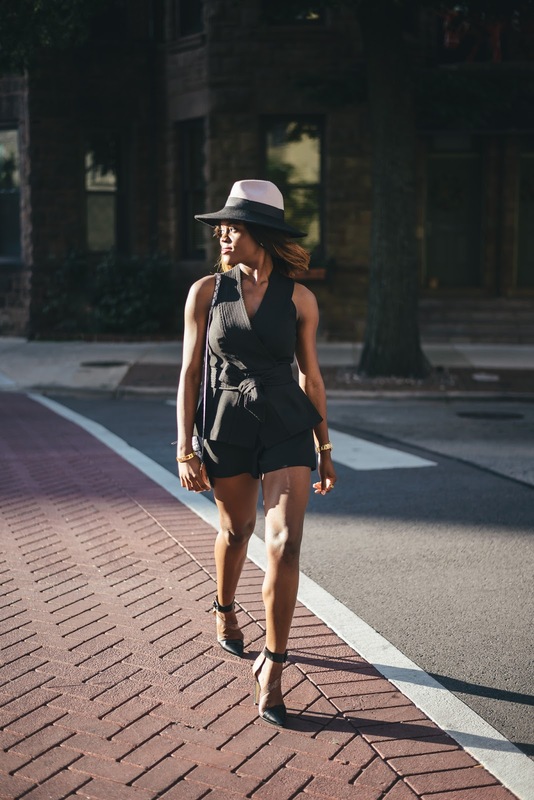 I have a love affair with jumpsuits and rompers so it was no surprise that I opted for a classic black piece with some interesting details! Finding ways to make the ordinary extraordinary is my forte. 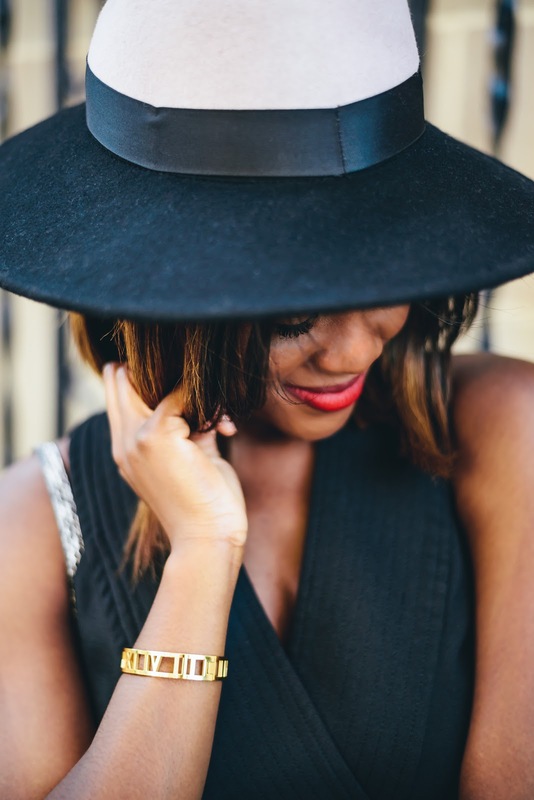 With a badass hat and a killer backdrop, this look takes on an edgy feel. Thoughts? 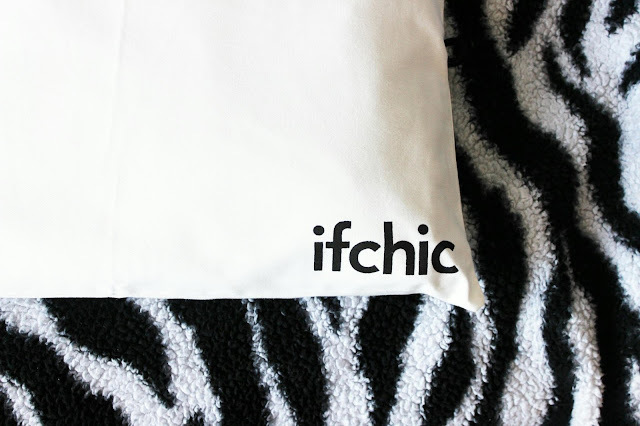 One of the things I like the most about ifchic, is the clever selection of timeless staples to statement pieces that make the shopping experience very enjoyable. It has the perfect collection of pieces that you would remember and from designers/ brands that we already love. I hope you check it out!